A quarter of Puerto Rico will regain power by next month, Puerto Rico's Gov. Ricardo Rosselló said at a news conference Monday, NBC News reported. The governor said almost half — 47 percent — of residents have running water and that should climb to 60 percent by the end of the week. Hospitals are gaining power and an estimated 139 shelters are open for 8,000 people. About 37 percent of Puerto Ricans have cellphone service although some areas are still cut off from communication, he reported. President Donald Trump is scheduled to land Tuesday in the hurricane-ravaged island. 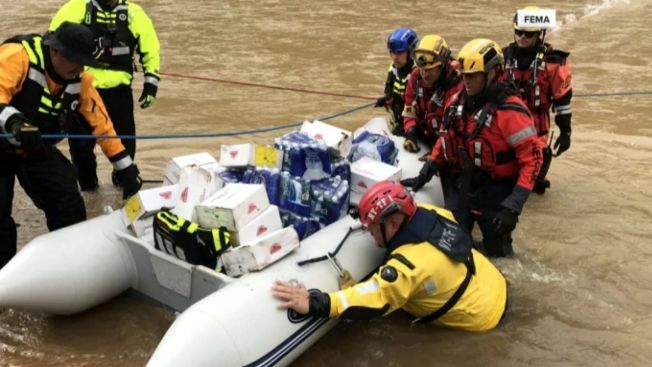 Rosselló said the root of the problem is no power and the difficulty to distribute water, food and medicine to neighborhoods, NBC News reported.